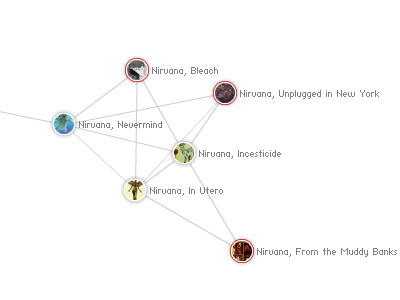 Musicmap is an application for exploring album relationships based on Amazon's similarity results. The application consumes Amazon e-commerce service's music information for searching music and finding similarities between albums and displaying the results through a force directed graph. 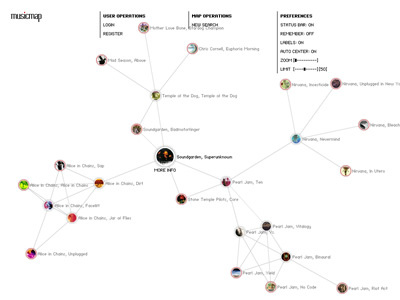 With Musicmap, one can visualize their map of music taste and discover new albums that are similar to already known ones. Registration is not necessary for using Musicmap, however, registration is completely free and registered users can save and load their maps or add comments to albums.